People who know me, know that a birdie is all I would accomplish in their favourite sport. So I decided to follow some fellow photographers here in Manitoba and shoot some real birds. That sounds easier than it is. At least for me. I’m a big guy, not easily concealed in the bushes. Needless to say that the birds spot me long before I spot them. But I managed to bag a few of them anyway. Come on in and take a look! In this spring time most of the birds do their best to get some peace and quiet to assure the future of the race. Of course these birds will then become more aggressive and daring than usual. 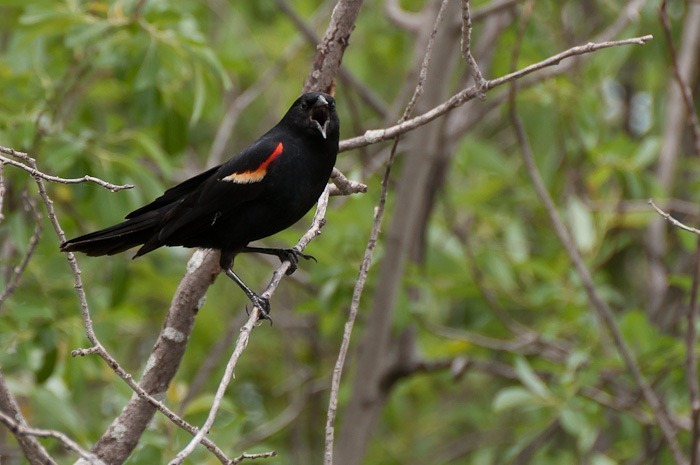 The Red winged Blackbird in the lead photo was simply screaming at me to go away! At some point it was dive-bombing on me to scare me. While usually I have to contend myself with zoo-birds or worse, stuffed birds, to get a good picture, now the real birds expose themselves to be as menacing as possible. 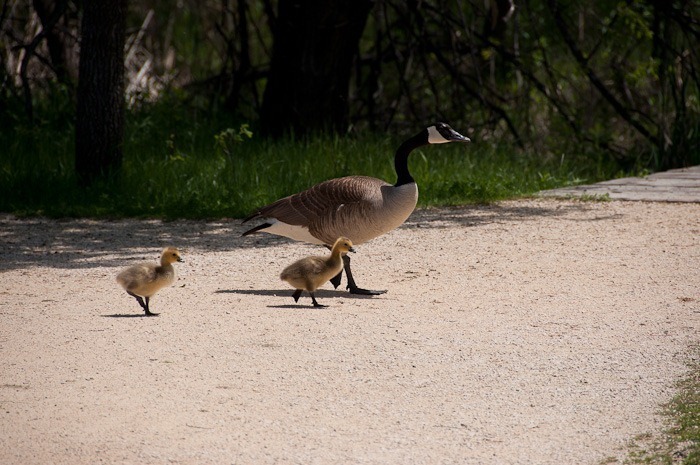 The geese are walking their young, but every person too close to them gets a menacing hiss and a stuck out tongue. These birds weigh around 10-15 pounds, and their bills are good weapons. They have been known to sprain or break a man’s wrist. So I stayed out of their way and used my zoom lens to get closer. Even if this was only to not disturb them more than necessary. 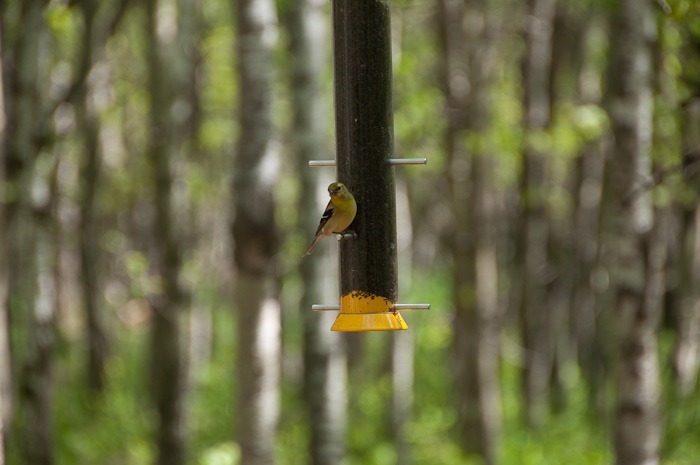 Other birds like this female American Goldfinch are not as dangerous for man or photographer. 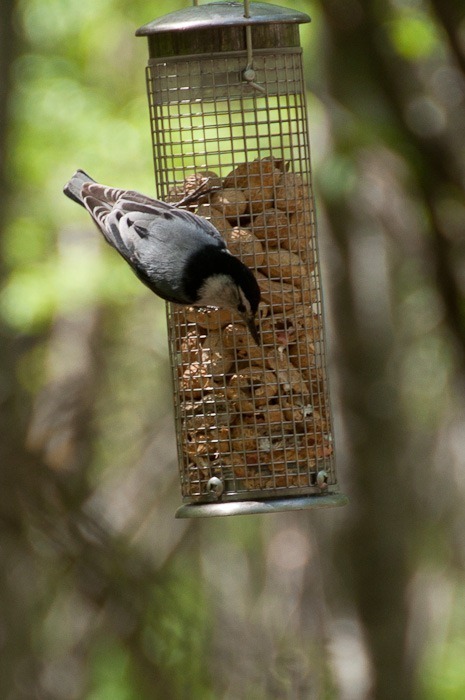 A feeder in the woods is always a good place to find them. Birds, like photographers are always hungry and go to the place where food is easy. 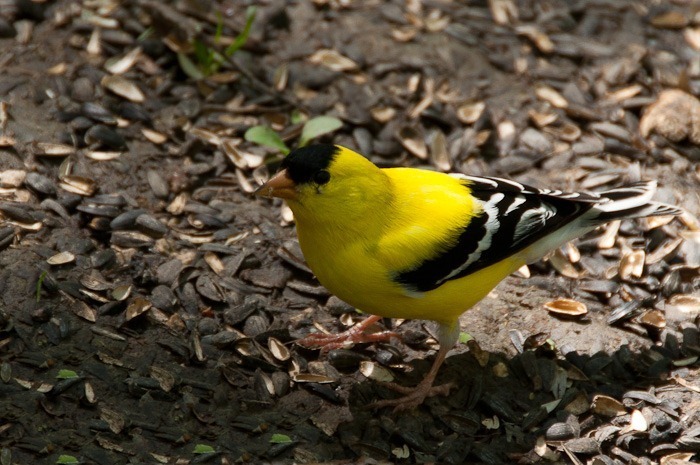 The male American Goldfinch is brighter in color than the female. I was lucky enough to catch one on the ground, eating. Perhaps you will need to see them together to see the differences between male and female. So I just invited them together on the feeder . 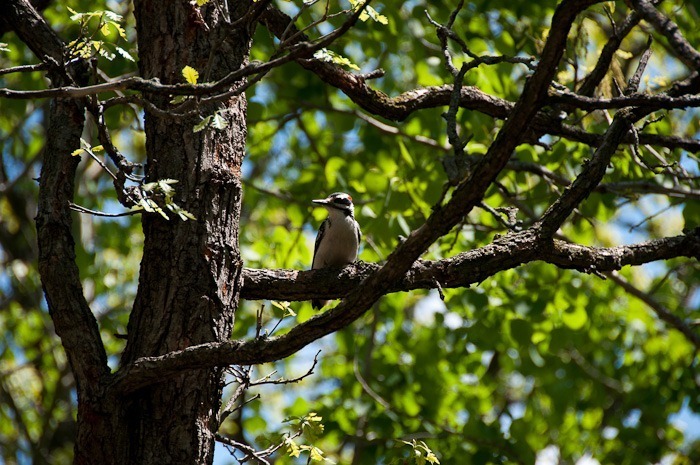 In the trees, some woodpeckers were trying to bore a hole, as noisy as possible. This downy woodpecker was also a welcome addition to my modest (very modest) score card of birdies. The above bird didn’t leave his name, but on the identifying board posted near the feeding station it was identified as the male White Breasted Nuthatch. 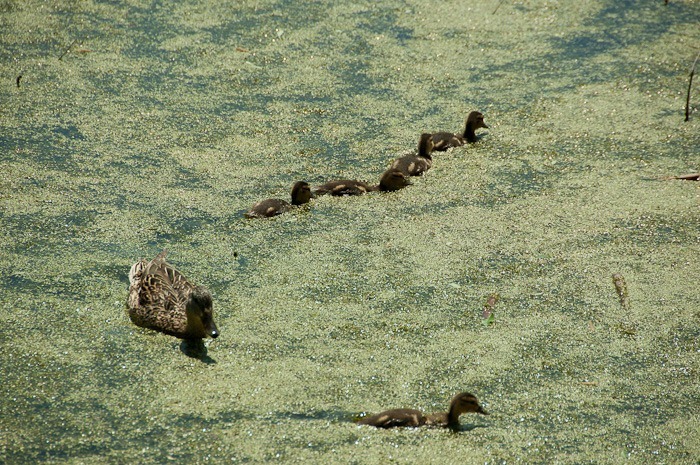 And in spring you always have the ducks and their young. They always make for a nice tender image. Even more if they are all swimming together in some kind of green salad… In a week or two they will be diving to find more food and interesting places. 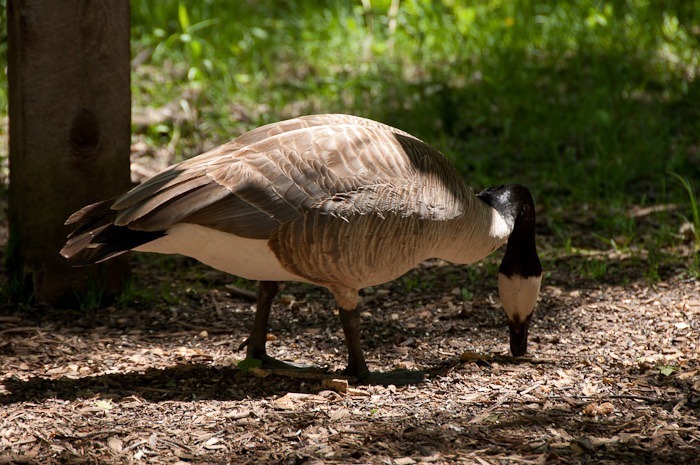 Meanwhile, mother goose is also feeding on what the other birds drop from the feeders. She cannot get up to the feeder and take the food, she needs the rests of the others for that. Nevertheless, the seeds seem to interest her a lot. Did I mention a feeder in this post? 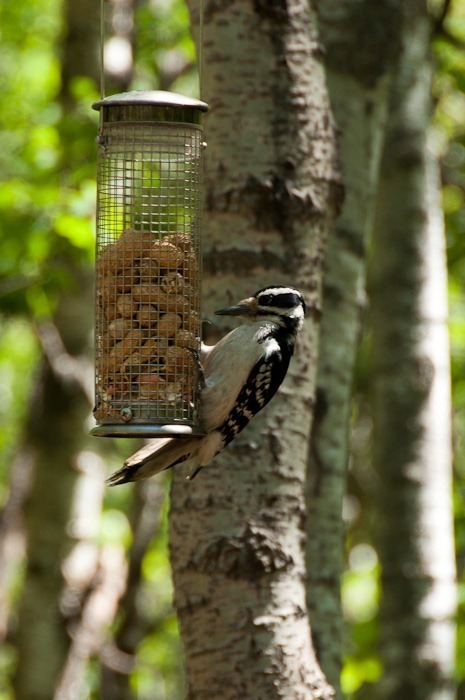 Woodpeckers, although mostly insect eaters, do not run away from the feeder if there are some peanuts in it. 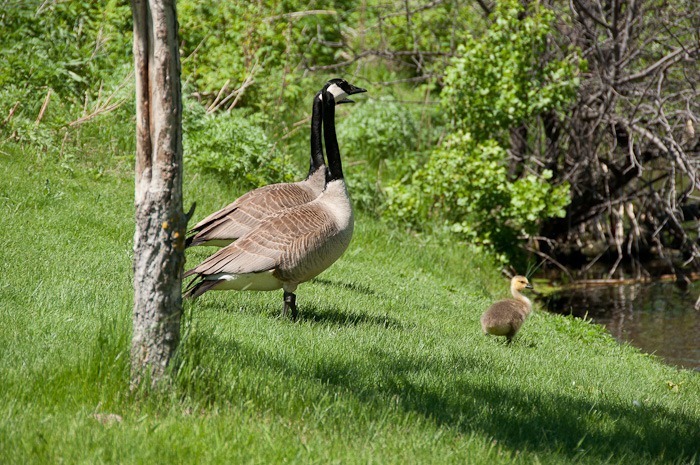 The geese are watching over their young and let nobody come close, birds, people or even harmless photographers. The only way to get close is to get more serious glass. Photographic glass, that is. 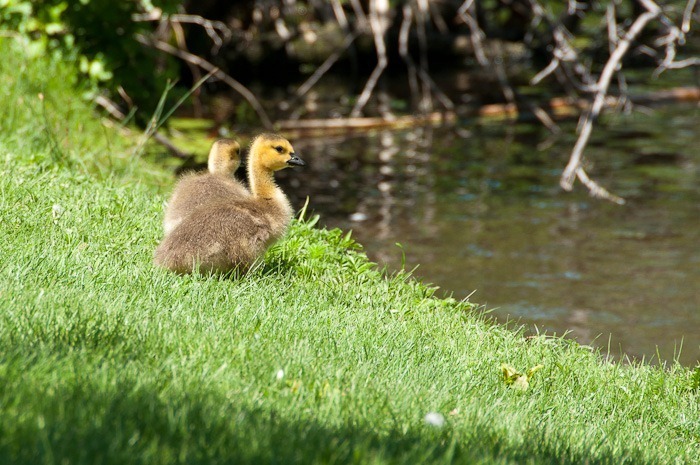 The goslings are still very young and fluffy, but that will soon change. The ones that were born a week earlier already show the first signs of real feathers. 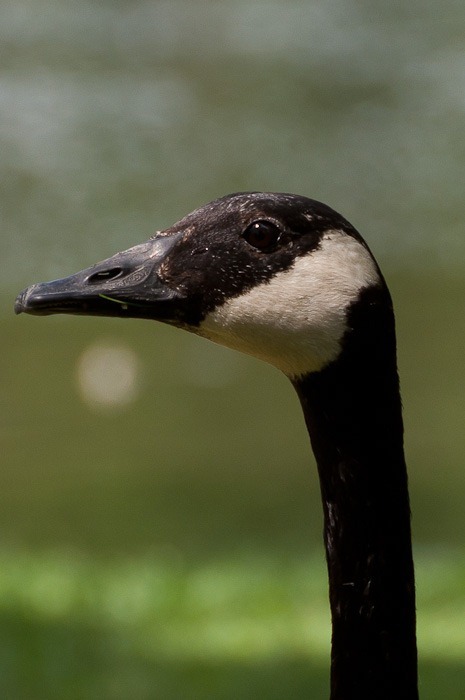 And to show that birds can have teeth, here is a close-up of mother goose. If you look well, there are small tooth-like parts on the bill. Strong enough to tear out grass and underwear. All these birds are wild, nobody is feeding them something they usually don’t eat like in a zoo. And if they want to eat fresh fish, some of them simply go and get it. 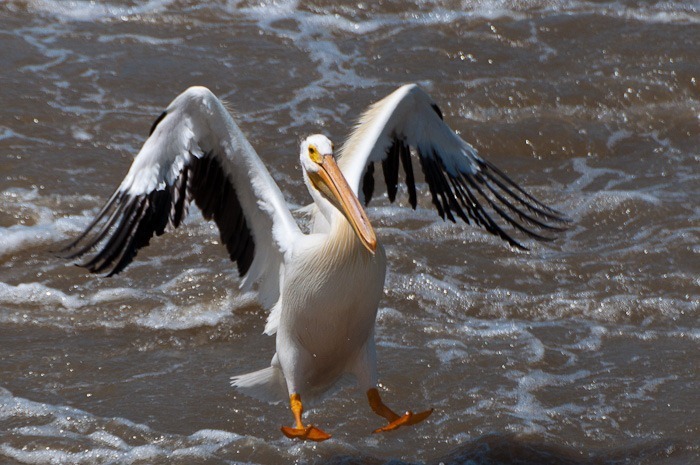 These American Pelicans are as wild as they come. They are free, not kept in the zoo. Their wingspan is wider than a good 1 meter. They are excellent fliers and really know how to control the lift they have with their wings. Just take a look at the landing procedure of this bird. First the wings are practically solid and provide good lift, but when landing, the feathers are spread and the usefulness of the wing is reduced. Only for landing of course. 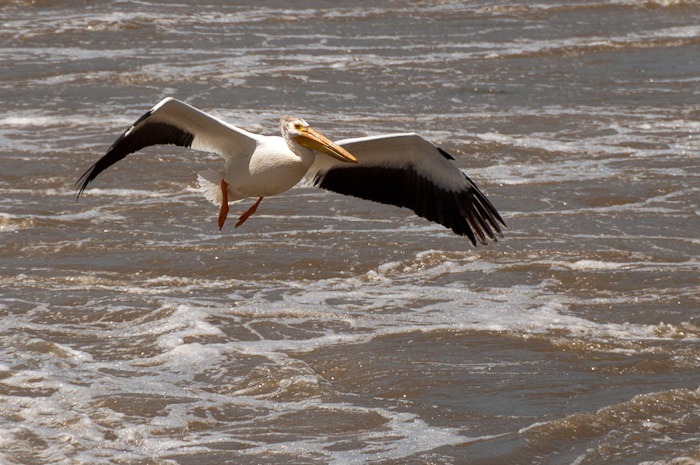 And I, who thought that pelicans only lived in tropical areas and in Australia, well I have to review my view. They live here, in the wild, not even 20 kilometers north of Winnipeg. As well as in a lot of other places in the province of Manitoba. Well, if this is the only way for me to score a birdie, so be it. 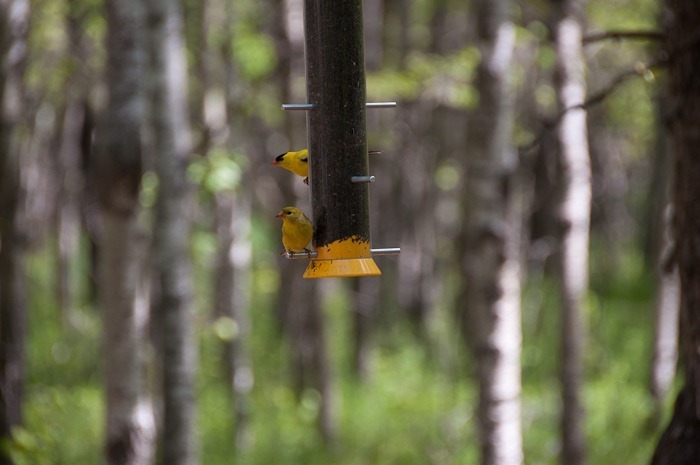 These birds provide for excellent exercise and lots of photographic opportunities.